This is a good presentation on Industrial Process Controllers which will focus on temperature controllers and there working, different types of controllers like On-Off, Proportional & PID. The presentation will explain all these terms in detail and will tell about there working too. Subscribe to Automation-Talk by Email. 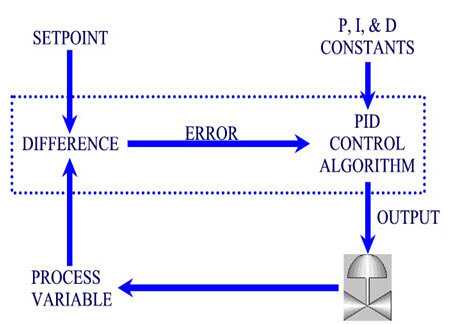 PID controller provides proportional action with two additional adjustments, integral and derivative, which helps the unit automatically compensate for changes in the system. A temperature controller gets input from temperature sensor such as a thermo-couple or RTD. It compares the actual temperature to the desired control temperature, or set point, and provides an output in the form of transistor output or relay.